While many financial institutions are addled by regulatory changes to interchange and overdraft services, credit card companies and other payments competitors are offering premium benefits, rewards and cash back to your account holders and cashing in on your chance to earn additional revenue. With the My Rewards™ Premium Cards, you can offer all of your account holders services they willingly will pay for such as bonus rewards, special offers like cash back, exclusive perks and even access to small dollar, short-term loans. Not only will you keep existing accounts and revenues, but with the My Rewards Premium Cards, you are also able to capture new service charge revenues that your account holders may be paying other companies. Research shows that as much as 20% of your checking account base pays fees for alternative services. In fact, some payments competitors earn more in fees than financial institutions do. 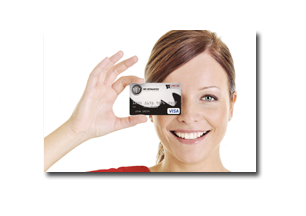 With the My Rewards Premium Cards, you can reclaim that lost revenue. For years, credit card companies have offered card-level perks and benefits based on the consumer’s desired service level (e.g., gold card, platinum card, etc.). Now, those same types of premium benefits can be linked to the debit card, which in turn boosts transactional activity and usage among account holders who wish to participate. 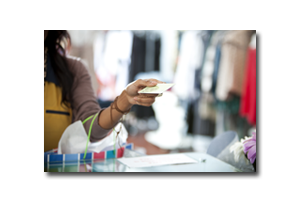 One of the most attractive aspects of tying card-level perks and benefits to the checking account is the fact that you already have a trusted relationship with your account holders. Recognizing the value of your existing account base, this program can be adapted to meet the needs of any financial institution. Deploy an automated solution that increases income without requiring additional resources from your financial institution. And, the consumer experience is equally as hands-free.